few years ago someone posted a peelboard with hose to a bucket to catch water runoff. I looked and cant find it. want to make 2 peelboards on each side of car. anyone have alink? dont know mike but maybe he still has photos. This is ours. I don't have a bucket at the end though. It is just the vinyl gutters from home depot with caps on the end. Just wipe them out with a rag at the end of the day. Soaks up all the water and keeps it clean. I used to have a film core that was cut in half and a sponge at each end. They would absorb all the water and just wring em our after each car. Had a bucket but I kept kicking it over. Had a bucket but I kept kicking it over. I could definitely see that happening all the time. 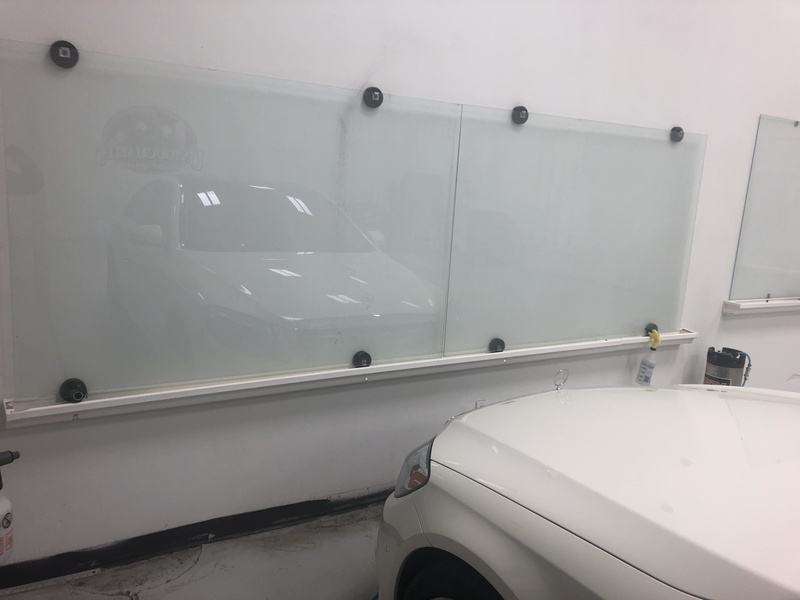 mine is simular to what @Tint Eastwood discribes except I have mine with glass mounted on a roll around with glass on each side. I set my peal glass in the guttering capped on each end and have several sponges in the gutter that wick the water up and evaporation keeps it control.